Kurima Island is a small island located to the southwest of Miyako Island with a perimeter of approximately 9km. 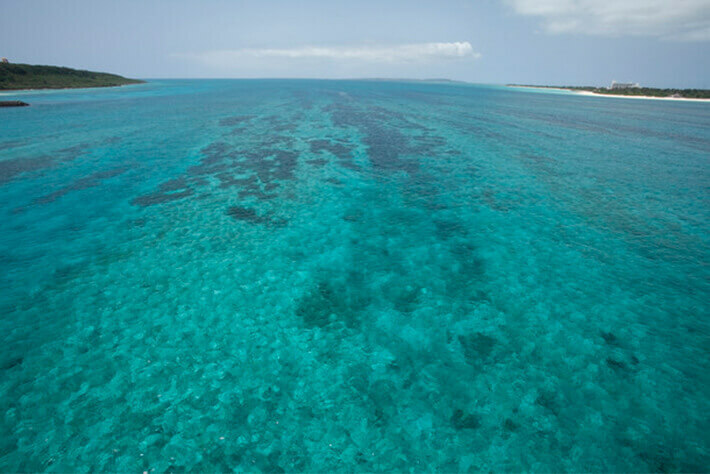 While the island stands alone, it is easily accessible by car across the Kurima Bridge with Yonaha Maehama Beach to the side. 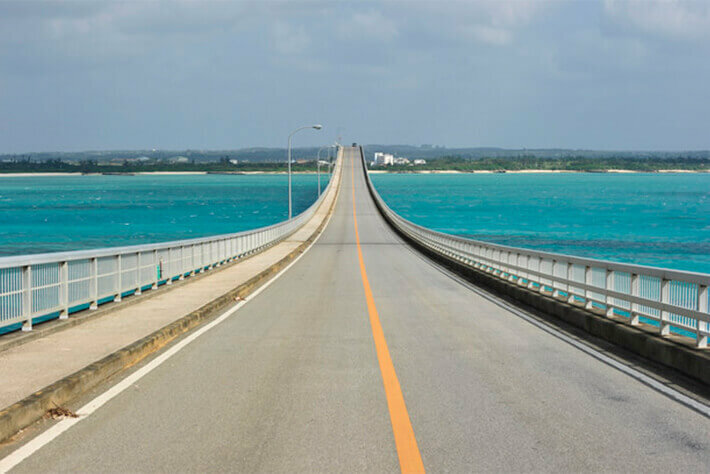 With a length of approximately 1,690m, Kurima Bridge connects the islands in a straight line, and when viewed from above, the sea surrounding Miyako will surely take your breath away. 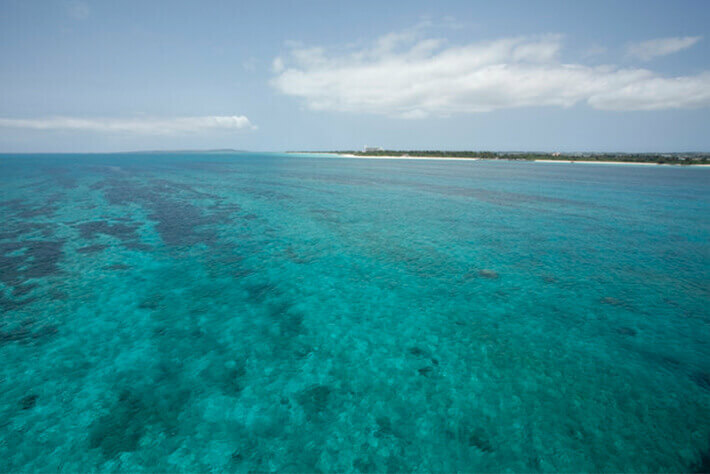 On sunny days, you can enjoy the beautiful gradience of the Miyako Blue at its prime. There is one village on the east side of the island while the rest is mostly cultivated land. Despite being an island beyond the islands, more people are relocating to the island because of the convenience it offers, as well as the dream to live on a remote island. In recent years, fashionable cafés and sundry shops have opened, and the island’s popularity amongst tourists is growing rapidly. 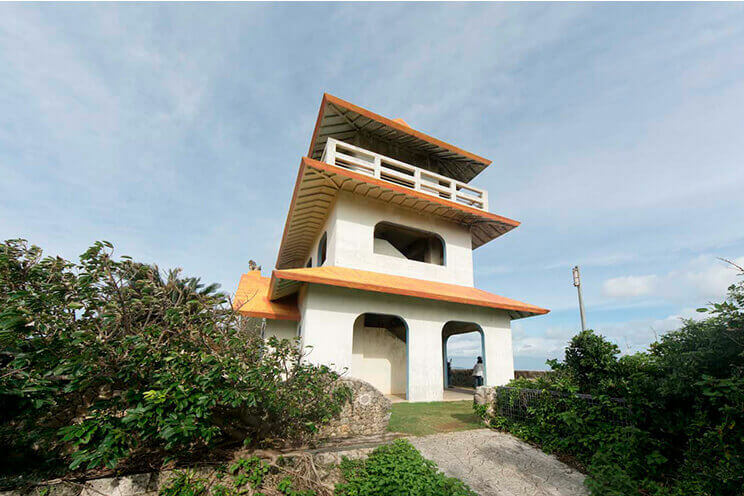 The building with an orange roof at the eastern end of the island is a three-story observatory modeled after the Ryugu Castle, as its name suggests. 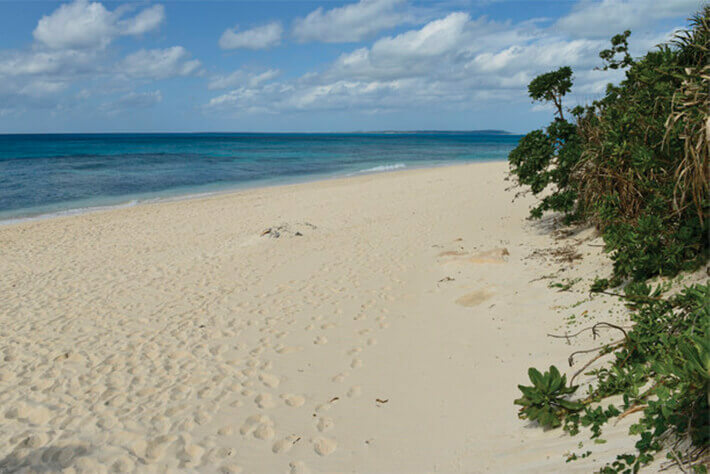 It can be easily spotted by looking towards Kurima Island from Yonaha Maehama Beach on Miyako Island, as it is an observatory that stands out quite a bit. While you can obviously get an impressive panoramic view of the Kurima Bridge as well as the gradience of the Miyako Blue as it extends across the sea to Yonaha Maehama Beach, you can also see the entire island from the other side, making it the first sightseeing location you would want to visit when you set foot on Kurima Island. Many cafés and sundry shops have opened on Kurima Island over the past few years. While it is a small island, there are various stores, from fashionable cafés offering menus featuring local vegetables and fruit to shops selling miscellaneous goods made from materials collected on the island. 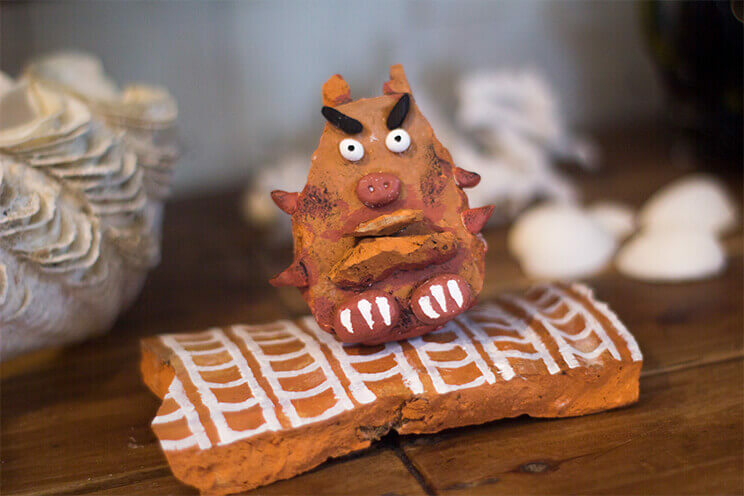 There are also souvenirs filled with ecological ideas unique to small islands with few supplies, such as the Shisa made using red roof tiles discarded from old traditional houses. The island offers the chance to forget about the time and find your favorite shop. 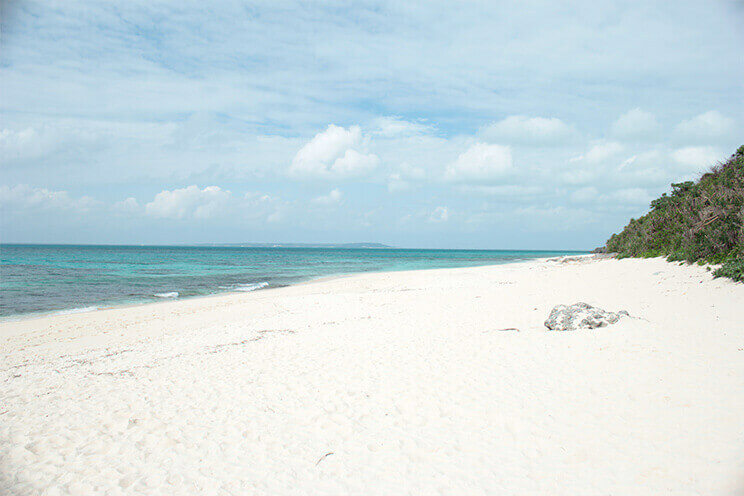 While the eastern coast of Kurima Island facing Miyako Island consists of a high cliff, there are several beaches on the west coast. Among them, Nagamahama Beach is known for its spectacular sunset view. 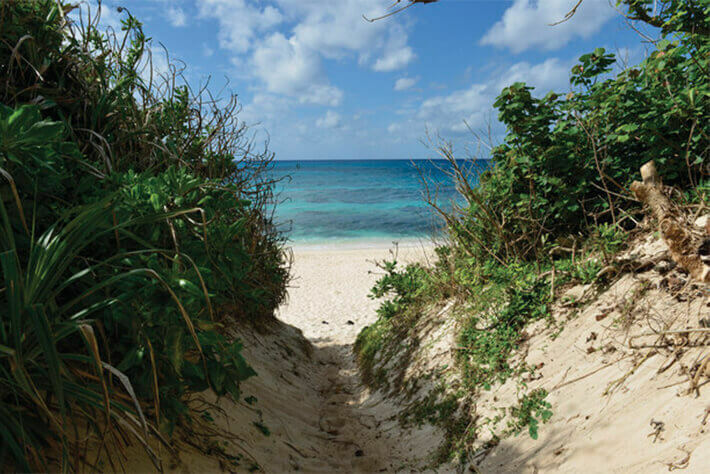 Although the entrance to the beach is difficult to find with all of the vegetation located between the beach and village, the sense of excitement at arrival is like no other, and it feels like the perfect hideaway beach. There is nothing to block the scenery in front of you to the west, making it the best location for viewing the sunset over the horizon.